Last week, I spoke at The Economist’s Buttonwood Gathering in NYC about how emerging markets (and Africa in particular) are leapfrogging innovation in the financial services sector. The most documented example of this is M-Pesa’s mobile money platform in Kenya, which I have written about a few times on this blog, including in my thesis piece When Third is First. To close out the day, Larry Summers, former US Secretary of Treasury, spoke of his excitement around the innovation he was seeing in fintech, citing the blockchain as an example. After his interview, I took the stage again, along with Michael Cagney (CEO, Social Finance), Steve Ellis (Head of Innovation, Wells Fargo) and Ben Milne (CEO, Dwolla) for a debate on whether millenials would stop using banks. I was assigned to debate in favor in the stance that they would. I personally don’t view this as a binary answer – I do believe that banks have been slow to adapt to changing customer needs particularly in light of the 2008 financial crash. We just have to look at emerging markets that don’t have financial infrastructure in place to see how nonbank entities are utilizing mobile connectivity, advanced data analytics and social channels to provide financial services to 2.5 billion unbanked adults (half of the world’s adult population). However, I see growing awareness from traditional financial institutions that some of these innovations can help them reach not only vastly underserved markets but also digitally savvy consumers who are demanding better service at better price points. I agree with Larry Summers that the blockchain will also be an important part of the next financial revolution – and have invested in 7 companies in the sector over the past 2 years that are working on creating a world where we can have real time, low cost, fully trusted, borderless ownership and transfer of assets for everyone. In the meantime we are seeing democratized access to lending, more mass market wealth advisory services, and competition in the mobile remittance market, all of which bode well for bringing better financial services to more people. employ 60K people in 11 countries. Twenty years from now, we will see disintermediation of banks, and millenials will no longer recognize the current banking system as they will receive financial services from a number of new entrants in the technology sector. These new entrants will also likely provide services that we don’t foresee today, similar to the Amazon example. This is inevitable as the banking sector has failed to address the needs of a generation in the United States that is 25% unbanked or underbanked, with large school loans. While banks continue to increase their fees to offset declining revenue from other businesses, millenials are being hit with high costs to maintain accounts – if they are banked. According to a study by Viacom Media, 71% of millenials said they would rather visit the dentist than hear what banks have to say. 73% would rather handle their financial services needs with Google, Amazon, Apple, PayPal or Square than from their own nationwide bank. Over 30% have used mobile banking in the past month, a mode of banking that is currently more efficient in Nigeria than it is in the United States. The millennial uses an array of services that have already disrupted traditional industries, including Snapchat for visual texting and media consumption, on demand Uber to replace taxis, Spotify to listen to music, Warby Parker to buy eyeglasses, and Netflix to stream video. In all of these cases, new companies have emerged utilizing technology platforms to engage directly with the consumer, bypassing traditional intermediaries. 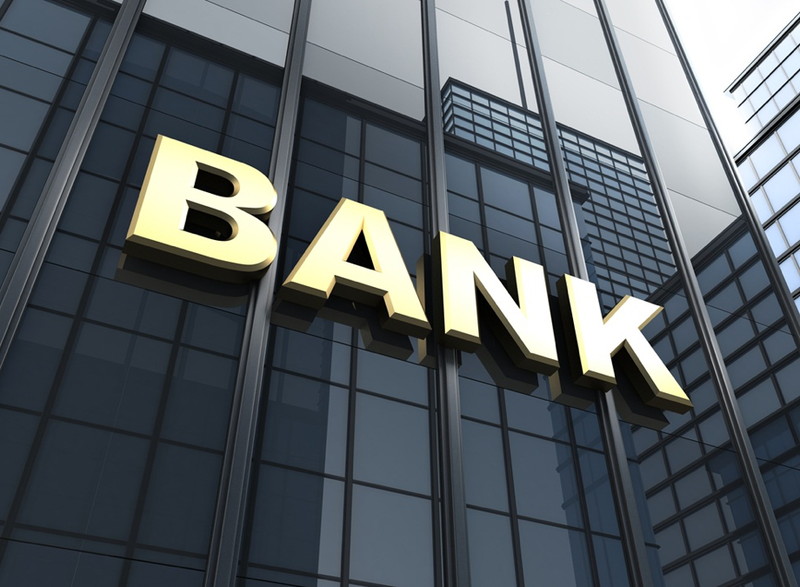 The banking sector, which utilizes intermediaries at every step of a transaction, will not be immune to this and is already under significant threat. Regulation has previously protected the industry in ways that other industries were not protected – but even regulation cannot save the banking sector. New technologies including fraud protection, data analytics to assess risk, direct to consumer lending marketplaces and other recent innovations have supplanted the role of the banks and deemed them less and less relevant in the eyes of the millenials. The advent of the blockchain will speed up this process – with Blockstream’s sidechains release 2 weeks ago, settlement times between bitcoin exchanges is expected to be instantenous instead of days. Digital Asset Holdings, along with Case Wallet, last month issued private securities on the blockchain that do not require custodians, and that are directly accessible and tradeable by the securities’ owners. Blockchain technology can bypass banks particularly in consumer-to-consumer payments, providing a direct link and authentication between individuals transacting via a trusted (and unhackable) pipe – services that a bank has traditionally provided. Banks have also shown that they have been unable to protect customer data while they continue to provide services irrelevant to the millennial generation. As we see millenials enter the workforce, they are abandoning all institutions that do not service their needs nor earn their trust. The PC increased productivity, the Internet democratized access to information, and now emerging decentralized infrastructure is enabling frictionless and trusted transactions across borders – between people, machines and enterprises. Within the next 10 years, we will see new business models created that will take advantage of these new networks and from the data created by this connectivity. Banks, if they don’t begin to explore new business models to service customers, will become extinct during this process. My question for Jalak is, “How do you study this and really get the facts you need to make judgements on investing?” I mean, it can’t be taht you just look through pitches. I travel in developing Africa and Asia all year long, and most of my judgment is made through observation. I just look at people’s phones (with permission) and listen to them talk about their day and how they do things. I do a lot of interviewing (casually, just by asking my taxi driver, or my hotel host, or a friend I am walking around the city or village with). But it seems that you need to get some kinds of hard data and bigger scale information. Does this come from banking industry itself? From time to time, a friend of mine at Goldman gives me these great published reports they send clients, and there is so much goodness in them, but nothing like what you see on the ground. Doug, thanks for reading and commenting. Diligence on an investment or sector is a combination of on-the-ground observation, conversations with industry incumbents, and judgment on how quickly (and at what scale) the market will grow. I agree that some of the published reports lag what is happening on the ground, but they can provide good frameworks on the sub sectors within the industry. Thanks Haseeb. Exciting times ahead for innovation in the financial industry! Nice article, and you have raised some relevant points. I have a slightly nuanced view that there are two categories of new ventures in fintech. One comprises the likes of M-PESA which addresses markets and customers that large financial institutions have ignored, often at their own peril. The second includes those that work with existing banks and FIs in areas such as wealth management, p2p lending, etc. In the latter category, regulations and the nature of the business are such that at least initially startups have to rely on a visible or invisible partner / backbone-provider that comes from the establishment. Fintechs in both the above categories are contributing to a positive change, though the routes they take might be different. Nilanshuk – agree with you. Thanks for bringing up the distinction. I view regulation as “legacy” infrastructure,and often reactive. Where there is a vacuum of legislation, new entrants can often innovate quickly and establish themselves. Where there is legislation, often it takes longer to get established but the end result can be similar – providing next generation services at better price points. I’ve spent a lot of time working with and competing against banks over the last 18 months in the U.S. and broadly speaking, banks are not great at customer acquisition efficiency, don’t understand UX conversion online very well, move very slowly and are burdened by enormous bureaucracy and regulatory oversight. However, they also have some really huge structural advantages starting with the fact that they take have savings and checking accounts that give them access to enormous amount of capital at almost no interest rate. You’ll also notice that most of the new innovative lenders in the us at least are affiliated with a bank (e.g. webbank, crossriver, etc.) who actually gives out a loan and a considerable amount of the loans on major lending platforms are from traditional banks. So, anyway, while banks have proven themselves not as good at online origination as some online lenders in certain industries (particularly in person loans), there is a lot for startups to prove to show that they can go from originators to full service banking replacements.